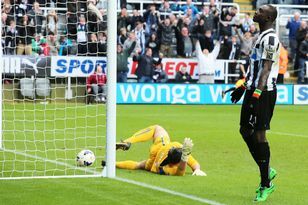 Alan Pardew has mounted a staunch defence of his record at Newcastle United – asserting they were a “top-ten team” in the last 15 games of the season. The Newcastle boss is aware that he needs to make a strong start to the campaign to regain momentum that was lost over the course of a deeply disappointing domestic season. United’s slide saw Pardew’s own employment called into question while also crystallising Mike Ashley’s discontent at a season in which Newcastle flirted with relegation to the Championship. The consequence of that was Derek Llambias’ depature and the appointment of Joe Kinnear as director of football in a summer that has hardly lifted the raw sense of frustration among Newcastle fans. They have not been pacified by new recruits either, with Newcastle unlikely to make progress on the striker hunt until the start of next week, when Kinnear returns from a short family break. United have publicly proclaimed their interest in Loic Remy and Darren Bent but Harry Redknapp told reporters on Wednesday that he is determined to keep the French striker, who would be interested in belatedly making the move to Tyneside. Newcastle have been linked with Dutch goalkeeper Jeroen Zoet but sources in Holland have indicated that an initial enquiry has been batted away by PSV Eindhoven. The Magpies are looking for competition for Tim Krul, although the link is a curious one given Pardew’s public assertion that a forward is his number one priority. At the moment he is planning for the Portugal pre-season trip without significant reinforcements, and also preparing for the start of the season with a measure of defiance. Pardew will know there is pressure to make a good start but he insists he is “proud” of a record that includes a top-five finish and also a final eight place in the Europa League next year. He said: “I have been in the game long enough to know there are different emotions in football. It can go from elation to disappointment very quickly. “I just try to keep a level head about it all, keep a bit of dignity about what I am doing and that’s what I am doing. “I have worked very hard at this club and I am very proud of what I have achieved here. (We made) the quarter-finals of the Europa League and you have to finish in fifth place in the Premier League just to be in the Europa League. “Last season in the end I felt we were a top-ten team for the last 15 games when those guys arrived. That kind of went over the radar. One win would have had us jump four or five places. That would have looked more respectable. Meanwhile, United youngster Massadio Haidara believes that a top-half finish is the minimum Newcastle should aspire to this season. The left-back is one of the players that Pardew is looking to improve next year, having put pressure on the January arrivals to be ready for the start of the campaign. “In terms of the team, we can really aspire to finish in the top half and then push on from there,” he said. “If you look at each individual player in their position, we have got some fantastic quality.